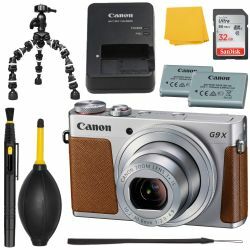 The Canon G9 X Digital Camera Silver Pairing a sleek form factor with a large image sensor, the Silver G9 X from Canon is a pocketable compact camera featuring a 20.2MP 1" High-Sensitivity CMOS sensor and DIGIC 6 image processor. 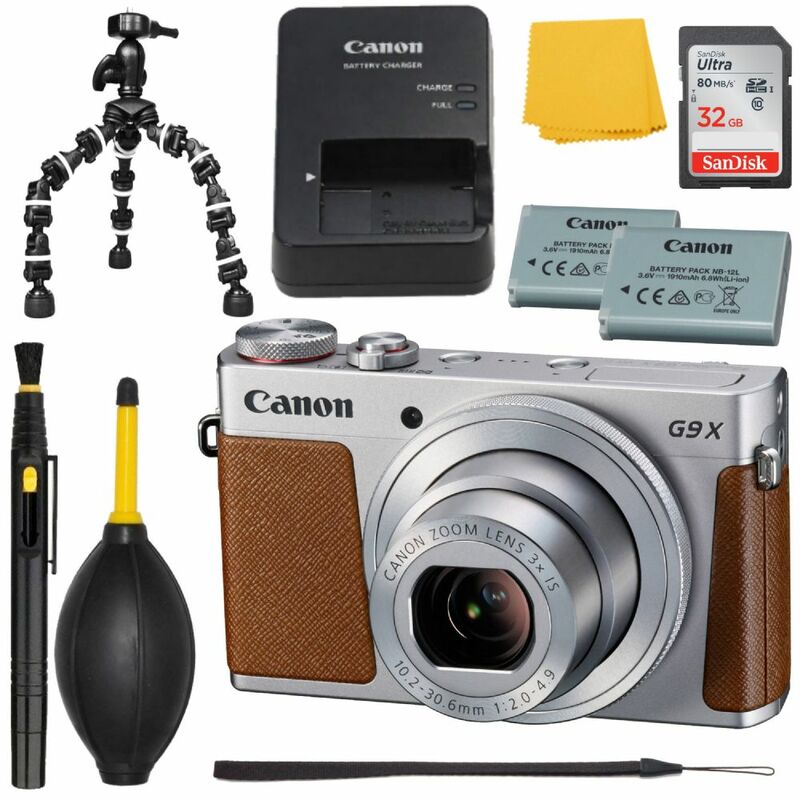 The sensor and processor combine to form the Canon HS SYSTEM for clean, clear image quality, sensitivity to ISO 12800, continuous up to 6 fps and full HD 1080p/60 movie recording. A wide-angle to portrait-length 3x zoom lens offers a 28-80mm equivalent focal length and Intelligent IS helps to minimize the appearance of camera shake for sharper handheld in difficult lighting conditions. While slim in size, the G9 X is also characterized by a range of physical controls, a large 3.0" 1.04m-dot touchscreen LCD monitor, and built-in Wi-Fi with NFC for wireless image sharing and remote camera control with smartphones and tablets.